I imagine ESP themselves could probably help ya out. They are on here and on FB. Sent a email no reply. Prob just busy. 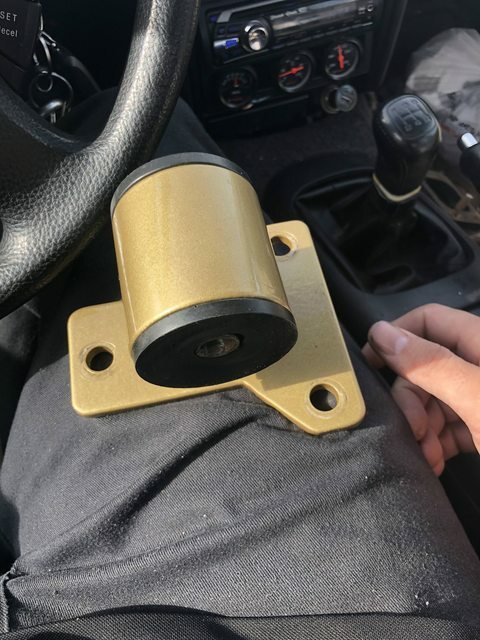 Figured I’d ask here seein as they are like the main supplier for aftermarket mounts for cb. When I replace mine, I think i will get rid of the gap between bushes in the center of the housing, they dont touch; have maybe a 10mm gap. I'm not seeing any urethane stiffness ratings at that link? I'm wanting to go softer on my ESP mounts, and match HASport's 62A "street" stiffness. I'll probably end up contacting ESP, but still, it would be cool to be able to get replacements that easily for any other bushings on the car I might want to swap out. Last edited by CyborgGT; 03-28-2018 at 04:31 PM. Me either, they have an email and phone number, im guessing theyre 70A. The example link was the only one I could remember off the top of my head where you can purchase based off of dimensions vs application, however if you really dug you can get what you needed from 4x4 suspension fabrication sites, there was a really good one I found long ago but my brain drew a blank to even find them again. Luckily these days almost anything can be found online with enough time, Id bet youd be pretty surprised to find that ESP just buys some generic bulk bushes and theyre nothing exotic and they remain kind of hush hush about their "trade secrets". I inquired flat out about pricing on some new heim joints for my traction bars, as one inboard one has developed some slop and clicks when I drive and was met with emailing etc etc, I can find the exact spec'd and probably better made ones on 4x4 fab sites. Last edited by illinois_erik; 03-28-2018 at 04:54 PM. I was just under the impression that polyurethane holds up better over time; being more resistant to chemicals, weathering/heat, and the constant flexing a bushing experiences over its lifespan, so I figure even a urethane as soft as OE rubber will still last much longer. Longevity was why I bought mine in the first place, but the 70A is horrible in the winter. probably with todays aftermarket rubber, I had OE style rear control arms go bad in a year, but even my esp mounts, the holes are starting to wallow out, theyre egg shaped now and 4ish years old. But something quality made (good luck finding it these days) like the original rubber mounts, they lasted 20 years at least..and mostly failed from dry rotting. Have you heard of "303" rubber protectant, or the mint oil/alcohol trick, that and some OE mounts might make them last a good while. Petroleum will kill poly pretty quick too hence the special silicone based lube for suspension bushes. I just really wish they made all three mounts for our cars. I don't get their logic in leaving out mounts because they don't feel they're important. A poster in that link backed up concerns I'd been having about leaving one mount soft and transferring the motion to that weakest link rather than spreading the load evenly. I know the torque isn't pulling up and down on that transmission mount with a transversely mounted engine, but there's still a twist in there that I imagine might become diagonal when the other two are stiffened. Well I ended up getting a reply from esp and they only carry 70a. He said he uses it in his 500+ hp car and all that. What I do t think he understands is that I just want what I want. Doesn’t matter the reasons. I want the stiffest I can get I have seen few people get new inserts with higher stiffness just want to know how. And where they got them from. I may have to call polyurethane company with measurements and see what I can get. its only a 25$ gamble too. As far as polyurethane yes it is the way to go for Motor Mount inserts. For suspension parts I use and recommend harden rubber. I know cost a little bit but I use HardRace. I do not carry much spares we are small potatoes when we order it is for current orders. Sometimes I may have 1 set to spare. I have 4 Black inserts at the moment to spare. $60 Shipped US or $75 Shipped for Set of 6 if have 6. 2 per mount. As far as insert grade... some Co's start off with 60 too soft. We use 70. 80 and 90 is race only lot of vibration. 70 is good for just about everyone upwards of 600++ whp. Front Torque Mount Kit on our Traction Bar System will take over and aid from there. I run 70s on my 500 hp H23V turbo crx and dc2 with no issues at all. Dc2 mounts lasting 10 years and 2 diff cars and is at 500 hp. I have people running our Mount Kits with 10 years on inserts. Warmer areas the Polyurethane can shorten its life span. All we have ever used in our Mount Kits is 70A polyurethane. Whether was Black or Red was same grade. Black is only color available in last 6 months or so. Makes it easier. Our inserts have been on numerous vehicles at over 700++ whp. Highest to date may be 850 whp H22 CD Accord. Last edited by ESP-net; 03-29-2018 at 02:47 PM. "wanting what you want" is all well and good, but "stiff" doesn't mean "fast". it just means uncomfortable. I know stiff doesn’t mean fast. Fast means fast. Just wanting what I want is all it really is. The car is on its way from a capable daily driver to a track/street car seeing as I have my 4 dr now for daily activities. So far she’s about a month away from being caged,cut and lexan windows so what’s a set of extra stiff mounts. Like I said just cause I want it not because it’s “faster”.